Alcohol and cannabis are placed side by side for comparison constantly. People are always talking about how “cannabis is more dangerous than alcohol” or “alcohol is more dangerous than cannabis”. There are those who suggest cannabis laws reflect alcohol laws, ie public intoxication, open container laws, and in those horrible states, internal possession. But are alcohol and cannabis even in the same league? The same sport? The only reason anyone compares the two is because alcohol also had to go through prohibition before it became widely accepted/advertised/used. A new study produced from the Netherlands and published in the journal Psychopharmacology takes a shot at shooting down the “cannabis is more dangerous than alcohol” myth once and for all. The study was pretty simple, actually. Take three groups of people. 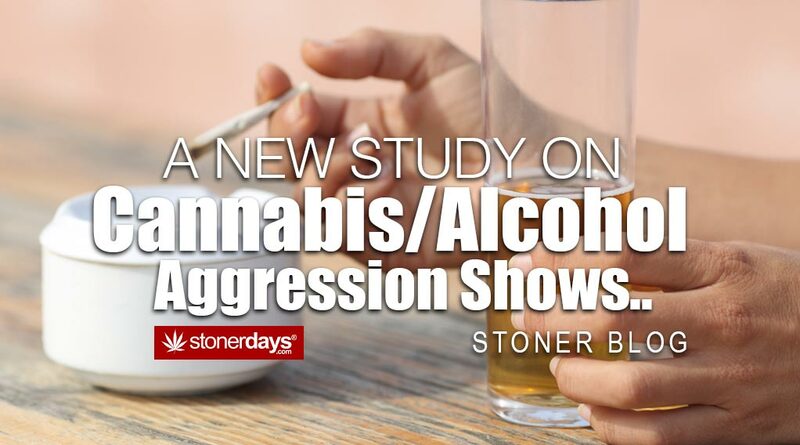 One group of twenty individuals who drink (three drinks a day per man and two a day per woman), twenty-one heavy cannabis users (those who smoked at least three times a week), and a group of twenty control subjects who didn’t partake in either substance. The researchers got the alcohol group drunk enough so that they’re BAC measured at 0.08, which is the level at which you become impaired. And then the researchers got the cannabis users high, giving them 300 micro-grams of THC per kilogram of body weight, ingested via vaporizer. The control group just sat around and did nothing. Each group then underwent a series of tests. First, they started with the “single category implicit association test”, meaning the subjects had to match positive and negative words to photos that showed aggressive behavior, such as punching or kicking. The second test consisted on the subjects playing a game on a computer. In the game, they had an opponent that they were told was winning money away from them but their adversary was only a computer. Aggression in each subject was measured before and after the test by asking each participant how angry they felt on a 1-100 scale. To be sure of their findings, the researchers had the alcohol and cannabis groups complete the tests a second time, a week later and sober, just to gather all possible information. The results? Alcohol users rated themselves as more angry when they were drunk and they also tried harder to undermine the computer opponent in the game. The stoner group, on the other hand, showed less aggression toward the computer game and overall, less anger throughout the entire test. This study falls in with the others of it’s kind, including the one done in 2014 that showed couples who smoke have a lower rate of domestic violence. It just goes to show that those dramatic headlines that shout about stoners in psychosis jumping off of buildings or shooting themselves (while tragic) probably contain other factors and are not commonplace to begin with. This entry was posted in Featured, Stoner Blog and tagged alcohol, cannabis.